Time Inc. just announced a restructuring of its communications team, and as always when you have the “r word,” people are out of jobs. 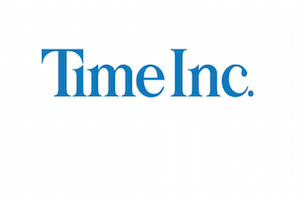 According to a memo, executive VP, corporate communications Teri Everett will be leaving, as well as Time Inc. veteran Nancy Valentino, who served as senior VP, communications and brand development. Everett had joined Time Inc. in 2012; Valentino in 2003. As for those who are left, Jaison Blair will now serve as senior VP, investor relations and corporate communications; Daniel Kile becomes senior VP, brand communications; and Susan Parkes, senior VP, marketing, will be oversee communications for People and Entertainment Weekly. You can read the entire memo from Time Inc. CEO Joe Ripp and executive VP Evelyn Webster below. Over the past year, we have been fundamentally re-engineering the business and re-imagining our company for its next chapter of growth. Central to our transformation has been our ability to act and speak as one company. To drive that change we are moving toward shared resources, consolidated functions and common goals. In that spirit, today we are announcing actions that will more effectively coordinate corporate, brand, internal and investor communications. We are moving from five separate communications structures to three. Effective immediately, Jaison Blair will be taking on expanded responsibilities as SVP, Investor Relations and Corporate Communications. In this new role, he will oversee our corporate messaging to trade and national press contacts, our relationships with equity and credit investors and will work closely with human resources on Time Inc.’s employee communications. Jaison has done a great job crafting our messaging for the credit ratings agencies, the successful funding of $1.4 billion of Time Inc. debt and our spin-off from Time Warner; and he’s helped us to establish strong relationships within the investment community. We are confident in Jaison’s ability to coordinate corporate communications, IR and internal messaging, and to work more broadly with our communications teams. With this consolidation of functions, we are eliminating the role of EVP, Corporate Communications, and as a result, Teri Everett will be leaving the company. Teri has done a terrific job over the past three years leading our corporate communications efforts and was instrumental in managing the company’s public profile during the spin-off from Time Warner. Daniel Kile becomes SVP, Brand Communications, reporting to Evelyn. In this newly-created position, Daniel will oversee all media relations and communications efforts for the 24 titles across Evelyn’s portfolio. He will be fully consolidating our brand PR into a single operation, sharing staff and resources across titles—something he has executed very successfully in his current role. Daniel is a strategic thinker who is involved in every aspect of our brands, from helping set editorial and sales strategy to advising on marketing and events. We’re delighted that he will now bring that vision and experience to all of our brands. Susan Parkes, SVP, Marketing, will be overseeing communications efforts for PEOPLE and Entertainment Weekly, reporting to CEO Joe Ripp until a new President of PEOPLE and EW is named. Susan currently positions our brands and ideas to the advertising community, clients and strategic partners. This is a natural extension of her marketing responsibilities and brand development initiatives. With this change, Nancy Valentino, SVP, Communications and Brand Development will be leaving the company. Nancy has played a key role in the strategy and marketing of our fashion and entertainment portfolio for the past 10 years, and she is credited with creating a number of our highly successful entertainment industry partnerships. Jaison, Daniel and Susan will work closely together to tell Time Inc.’s story. Please join us in congratulating them on their new roles, and please wish Teri and Nancy the best in their future endeavors.